Choosing Hallelujah: I Did It! 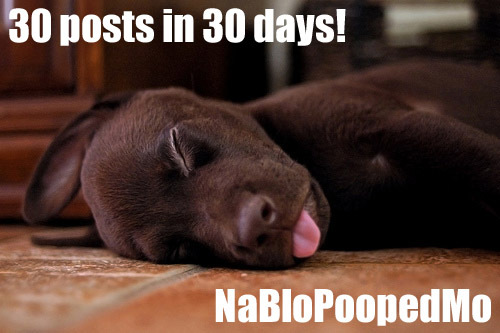 I survived NaBloPoMo! I hope I win a good prize. No further deep thoughts for today. Off to enjoy the sunshine by taking my beautiful baby and neglected dog on a walk...then bake some muffins. Yum. *Badge courtesy of this blogger. Mothers, What Shall We Do? Who Can Resist This Face?